The most dangerous knife in the kitchen is the dull knife. It’s unreliable and when you least expect it, it cuts you. When you most need it, it slips.I have noticed a growing tendency amongst our communtiy that we are no longer people of extended thought — knowledge you might say — but instead have become people of narrative. I do not say this as a snide remark but I say this with also indicting myself. Narrative is important but without foundational knowledge, we’ll have nothing other than shifting sand to plant the flag of our narrative in. Everyone’s busy. That’s what I hear. That’s the excuse I’m given. But I also hear, “Shaykh, I want to learn Arabic!” (without showing up to the Arabic class) ; “Imam, how did you learn your Arabic?” (I spent many many long hours sacrificing play time to do thousands upon thousands of drills, etc.). The list goes on and on. And instead of providing opportunities for learning, I believe the last generation of institutions and their scholars/imams/etc., have largely indulged the phenomenon I call Islamotainment. Our gatherings, if we have them at all, tend to range from “chop-it-up” sessions to superficial demonstrations of knowledge that are more about their “wow” factor versus anything transformative. So what can we do? In a recent tweet by Qasim Rashid, representative of the Ahmadi heretical community, Rashid claims that by one proclaiming an individual or group as outside of Islam — particularly on creedal grounds — is synonymous with a call for the headsman’s ax. This process — known as takfīr, while being a sensitive one, is also not unknown throughout Muslim history up to the present day. Mr. Rashid has taken the bait of one of modernity’s most enduring myths: that religion is inherently violent because religion is inherently divisive. According to Rashid’s logic, which is also seconded by virtually every representative from the Ahmadi heretical group, Ahmadis have been persecuted because they are different. In other words, because of difference. But this theory does not hold water if we examine it in light of the Nation of Islam, another heretical group, and orthodox American Muslims. Indeed, many American orthodox Muslims, while holding those in the NOI to be heretics, maintain friendly even familial relationships with them. There has been no call to violence from orthodox American Muslims against Minister Farrakhan or followers of the NOI’s teachings. Clearly Mr. Rashid’s logic is bankrupt and reveals itself bare for what it is: political jockeying. I have participated in a number of interviews and interfaith events with Ahmadis and in every single instance they use the stage to try and score political points. They employ post-Enlightenment and liberal philosophies, to which they impugn difference as they source of all violence, to force or coerce orthodox Muslims into accepting their heresies as legitimate by employing the state: Ahmadis attempt to position themselves as “the good Muslims” while all other orthodox Muslims as either terrorists or misguided by their “corrupt” clerics who supposedly use religion to stir up hate against them. Takfir = terrorism? This is political jockeying. They can’t ever grieve with the victims of tragedies without trying to take center stage. 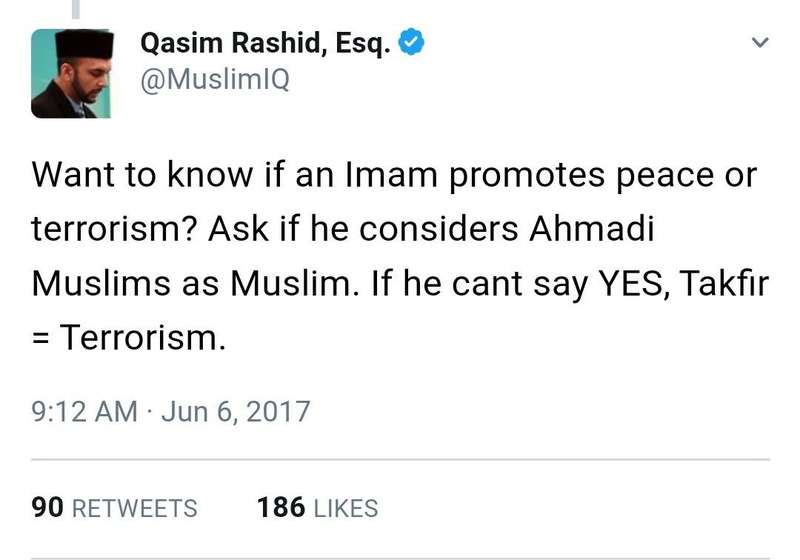 As an Imam I can say that as by the words of M. G. Ahmad, I don’t consider Ahmadis Muslim (takfir) and I’m not calling for violence. Drawing theological boundaries is not a call for the headsman. They have to stop playing these stupid little reindeer games. If Ahmadis want to be considered Muslim then Ahmadi clerical leaders need to unconditionally articulate the orthodox creed but refuse to, often being purposely unclear as to where they stand. Want to be considered Muslim? Step one in that direction would be to stop calling yourselves/identifying yourselves with the man (M. G. Ahmad) who was clearly a kafir! There is no arguing that Ahmadis have faced reprehensible oppression and violence in certain Muslim countries but the sources of that violence lies with those cultures as well as in the modern state itself, which the latter has an incredibly bloody track record of violence based on difference. 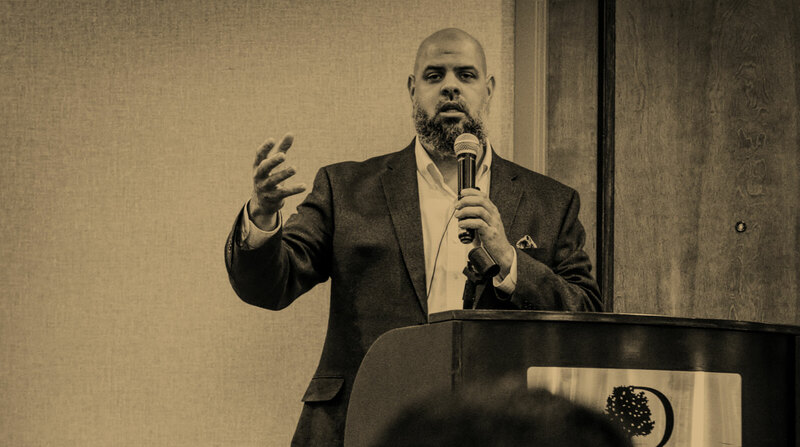 Mr. Rashid and his community have a lot of work to do if they wish to gain legitimacy in the orthodox Muslim community versus attempting to use the state as a bludgeoning tool to gain admittance.